Tom Vilardo sat on the deck of a ship as he and his U.S. Army unit were about to ship out to the Pacific Theater during World War II. No one knew where they were headed. Vilardo thought about his eight siblings at home in Niagara Falls, and what he was about to encounter, as the just-released “Sentimental Journey” by Doris Day was playing over the loudspeakers. And he couldn’t hold it in. Vilardo’s destination turned out to be the Philippines, where he spent one year, including the final months of World War II, after training stateside for two years. “We got there a week or two later after everything was over,” Vilardo said of the fighting against Japanese troops near Manila. “There were still sniper shots – we could hear rifle shots. ... I remember hotels and buildings were beaten up … but not one church was touched. Vilardo returned home to his family in April 1946 and went on to build his own clan: The 94-year-old West Seneca resident has six children, 10 grandchildren and 14 great-grandchildren. “We had kids pretty fast, and I prayed to God, ‘Please let me live long enough to see my kids grown up and taken care of,’ ” said Vilardo, whose wife, Rosemary, passed away in 2007. “So our kids are all grown up, they all found a job in the area and nobody had to move away. Eight of my grandchildren found jobs in Buffalo; two are still young. And now I’m seeing my great-grandchildren grow up. 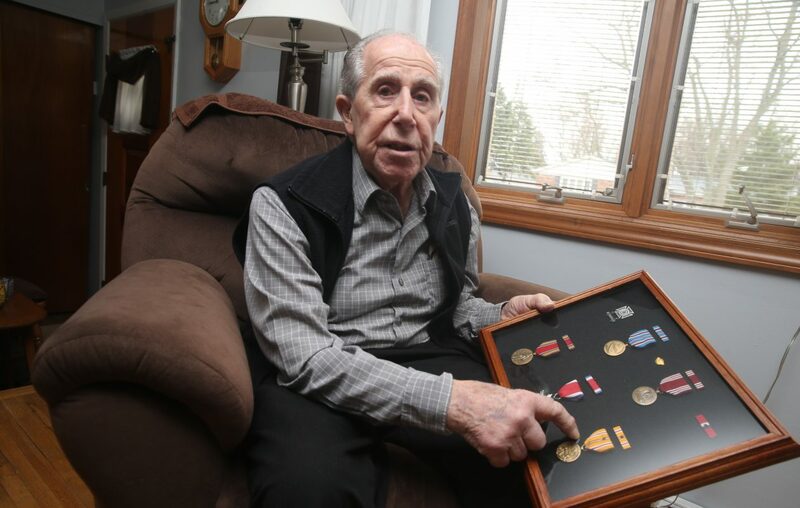 Vilardo was drafted in June 1943, right after he graduated from Niagara Falls High School. He trained with his fellow troops of Battery B of the 326th AAA Searchlight Battalion, an anti-aircraft unit, in Texas and Florida for about two years. The battalion never served in that capacity during wartime, however; it was sent to the Philippines as infantry replacements, Vilardo said. The battalion was comprised of radar, searchlight and artillery units that used 90 mm guns. They participated in exercises in Texas but also had special training in Orlando. 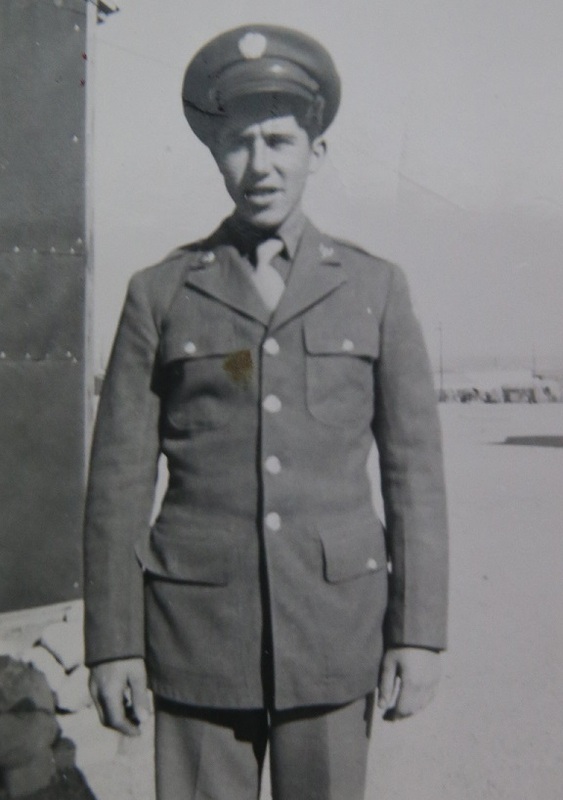 Vilardo, a radar operator, said his battalion had to construct and deconstruct a large radar unit – radar was a new technology at the time – that needed to be transported via truck. In exercises held at night, planes would take off from nearby airports, Vilardo and his fellow soldiers would track them on radar, helping searchlight crews find them for the anti-aircraft gunners. A staff sergeant, Vilardo described his military service as a time "of honor, and of pride." His unit was supposed to meet up with Gen. Douglas MacArthur in the Philippines, but Vilardo said they missed MacArthur by a few weeks upon arriving in April 1945. 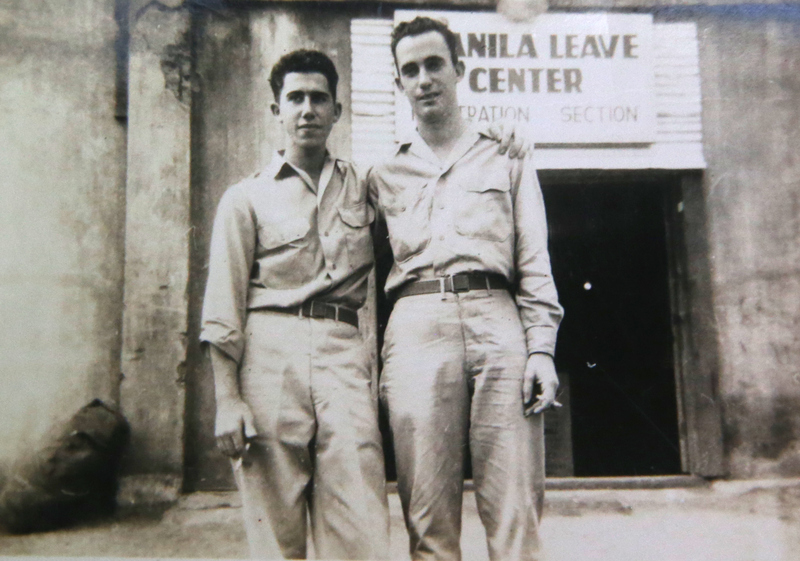 Vilardo and his unit staffed the Manila Leave Center, where U.S. troops ate and rested while on leave. MacArthur had liberated Manila in March 1945, but scattered fighting continued in the Battle of Luzon until August 1945, when the U.S. dropped two atomic bombs on Japan and Emperor Hirohito announced Japan's surrender. Upon returning to Western New York, Vilardo attended Niagara University on the GI Bill, earning a degree in business administration. He met his wife when a buddy of his wanted to date a girl in Buffalo, but she wanted to bring a friend, so he asked Tom if he would come along, too. It didn’t work out for his buddy – “no, she didn’t like him,” Vilardo said with a laugh – but he and Rosemary hit it off and they were married in 1952. “It was love at first sight." Vilardo spent about 30 years “in the beer business” working for Certo Brothers and J&M Distributors, moving to West Seneca in 1970. He retired in 1988 but continued working part-time as a Home Energy Assistance Program inspector for Erie County, a job he continued to do until last spring when he ripped a hamstring muscle. Vilardo also was an active visitor to the YMCA for pickleball games or spinning classes prior to his injury. He has survived throat cancer and emphysema, something he attributes to prayer. “He has always taken care of me,” said Vilardo, a regular at St. Vincent de Paul Church in Spring Brook. He is especially grateful for the regular family gatherings of 40-plus people.